The Federal Assignment of Claims Act (FACA) offers protections and benefits to factoring companies that provide accounts receivable financing for government invoices. For assigned government contract payments, a factoring company must file a UCC-1 financing statement under Article 9 of the UCC in order to perfect its security interest, just like any other accounts receivable. 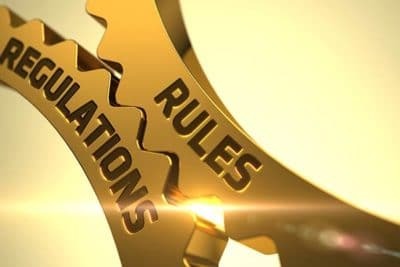 However, a factoring company must comply with FACA if it intends to acquire certain rights and protections as it pertains to its assigned interests in government contract payments. Disbursing officer designated in the contract to make payment. The true copy should be a certified duplicate or photostat copy of the original assignment. The government is obligated to make contract payments directly to the factoring company’s bank account. The government cannot claw back any contract payments received by the lender that were made in error. The borrower (government contractor) is unable to redirect the government contract payments. The factoring company has the right to pursue collection of a government contract receivable directly against the government. Factoring companies usually want payments sent directly to them after they have entered a factoring agreement. A factoring company will comply with FACA regulations, so they get government payments sent directly to their bank account, rather than their client’s. If a government contractor has a number of small contracts with a different government agencies, then a factoring company may not require the client provide FACA assignments at the closing of a factoring agreement, but instead retain the right to require them at a later date if necessary. The factoring company still perfects its interest through the UCC filing, but it forgoes any protections and benefits afforded by the FACA assignment.